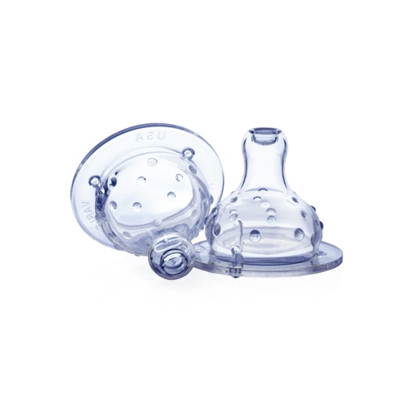 You will be delighted with the transition thanks to Nûby's valveless, leak resistant design. This patented soft silicone spout is uniquely designed to prevent drips and spills. 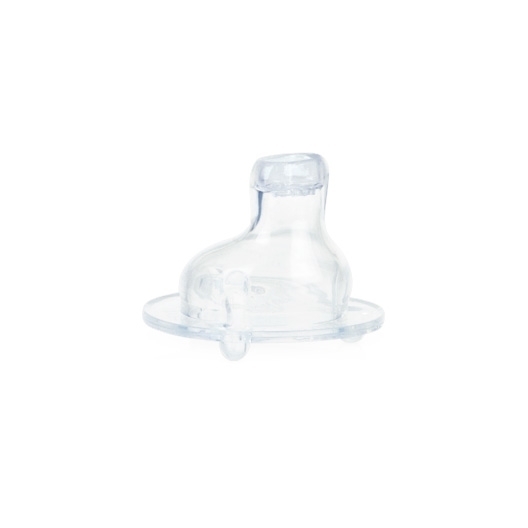 The unique soft silicone spout allows fluid to flow with the sucking action of child. 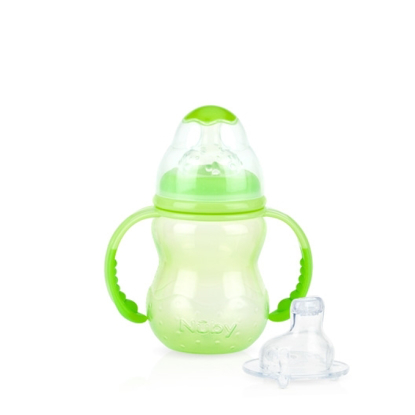 The silicone spout closes when sucking action ceases, ensuring a leak-resistant bottle while being delicate and gentle to gums and teeth.